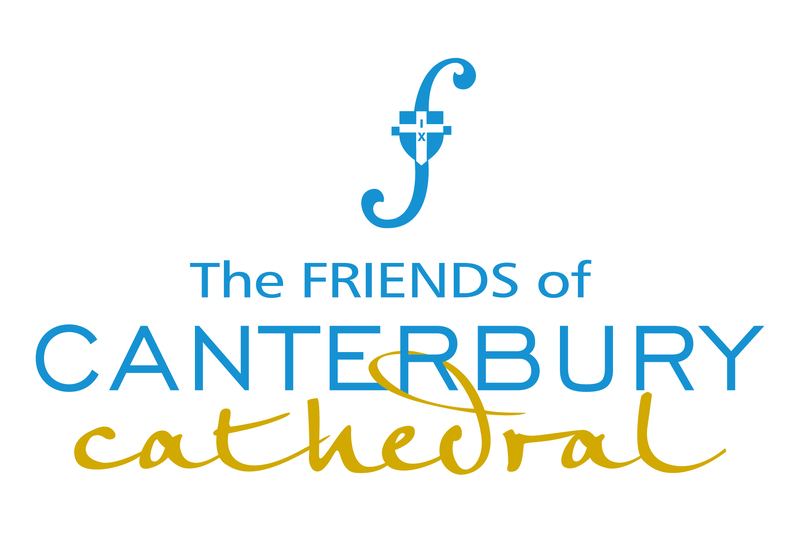 The Council of the Friends of Canterbury Cathedral are delighted to welcome Caroline Plaisted as the newly appointed Secretary to the Friends. Caroline joined the team at the start of the year on 7th January. Originally from London, she has lived in Kent for the past 19 years. She has worked for many years as a successful, self-employed, writer who has written for a variety of publications and produced a number of books for children and teenagers. Before she went freelance, Caroline was employed by several publishing houses and worked for a time at the BBC where she was Editorial Manager of BBC Books. Prior to this she worked as a secretary to an MP in the House of Commons. We are absolutley thrilled to have Caroline join the team and it seems we are not alone. It is a fantastic challenge to work in a historical place with such an extraordinary heritage and I look forward to playing a small part in its story. 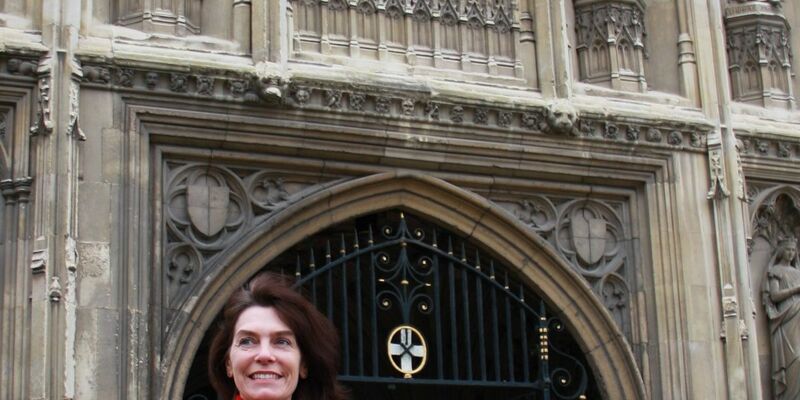 I’m looking forward to working with the management commitee of the Cathedral Friends to support the Cathedral, and I can’t wait to meet Friends when they pop into the office. 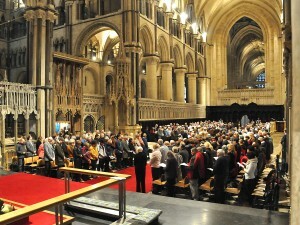 2013 looks set to be a good year – there are a lot of events planned for the Friends and with the Enthronement on the horizon, it’s a fantastic and exciting time to be involved with the Cathedral. 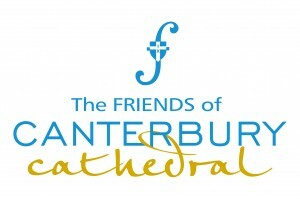 The Friends of Canterbury Cathedral was founded in 1927 by the then Dean, George Bell. The organisation was the first of its kind in the world. In 1928, Miss Margaret Babington joined as Steward to The Friends. A redoubtable woman of enormous energy and tremendous vision, she made a huge contribution to the success of the Friends. She staged plays and concerts and enticed illustrious people such as John Masefield, Sir Adrian Boult, Gustav Holst, Dorothy L. Sayers and Dame Myra Hess to the Cathedral. Rudyard Kipling and George Bernard Shaw became enthusiastic members. Margaret Babington, handed over her baton to many other stewards and executive secretaries, all of whom have put their own stamp on the efforts of the Friends, and made membership appealing, important and active – and the successful charity it is today. The Friends are the Cathedral’s Fan Club. 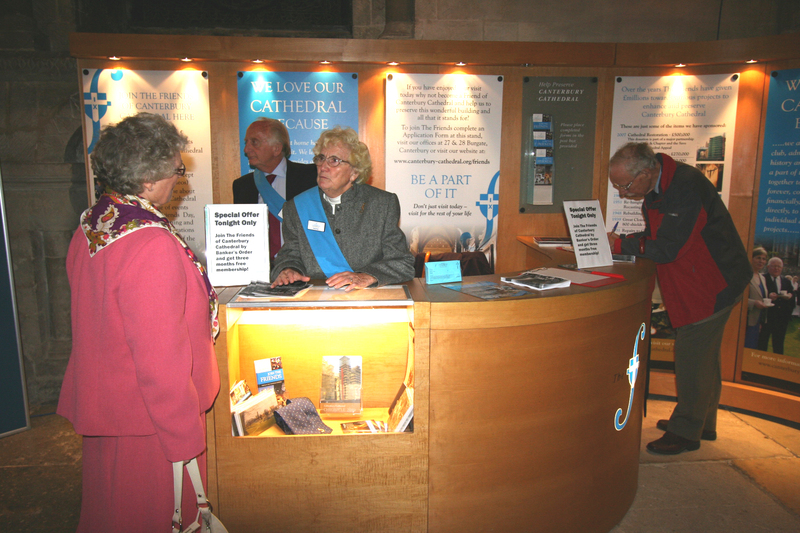 Membership offers a fantastic social experience with a group of like-minded people who wish to become involved in the community and life of the Cathedral. 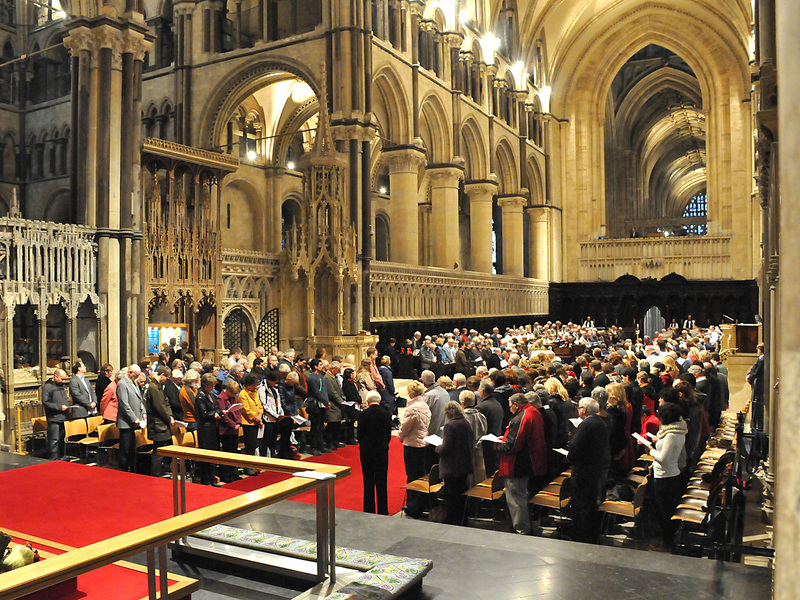 They are admirers of the building, its history and its community; they are a part of the Cathedral, and work together to preserve it for ever, contributing financially – and directly – to many individual and vital projects. You can join the Friends from as little as £22 a year and this will enable you to take advantage of the special organised events, day trips and lectures. This year, outings have been organised to St Paul’s Cathedral, Finchcocks Musical Museum, The London Coliseum and The Savill Garden. 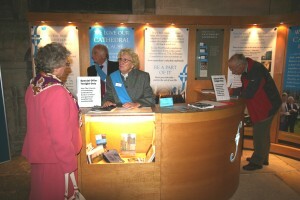 As a Friend you will also receive membership benefits including free entry to the Cathedral and Precincts; a membership badge; Spring and Autumn newsletters; The Chronicle – an annual publication about the life of the Cathedral; a new member welcome event – including a free guided tour; and an invitation to regular Friends’ events, including Friends’ Day and the Friends’ Christmas Party. Becoming a Friend is not just about restoring a beautiful old building; it’s about establishing a community and forming lasting relationships. If you are not already a member, why not join us today?